This is week 7 in the Snappy H’appy photo challenge, and it’s all about sketch apps. I have Camera 360 on my phone, so that’s what I used for today’s shots. The dogs were resting in the chairs, it’s been pretty cold and blustery, so there isn’t much to do. I have played around a little bit with this filter on Camera 360, but never used it with an eye to taking a photo to keep. I really like the way these turned out though, especially the colored one of Roxy. It really shows up the texture in her fur, like someone drew each one individually. Torrey really is great in black and white. This sketch photo turned out quite nice. Again, it really accents the texture of her fur. To see some more photos with the Snappy H’appy challenge, check out We live in a flat, and Firebonnet, the two co-hosts for the challenge. And since I have the Black and White vibe going today, I am joining the Black and White Sunday bloghop. Those are great and they do look like sketches. Have a serene Sunday and enjoy some big easy today. You’re right, I also love how it accents the texture of their fur. I will have to check out that app, I’ve tried sketching effects in some of the computer software and it just isn’t any good. Those two girls are so sweet sleeping! Agree – those are really interesting – the pink shading on Roxy is really nice. They both look very peaceful in their sleep. they turned out beautifully! wow! Lovely photos. It shows details wonderfully. Fantastic pictures. I love the fur texture. That is a neat filter! Love all the textures. That is so funny that we both did sketchies today. Yours are cool looking. Those are really great! I love that effect! Love the sketched look this app did! They came out really cool looking. Those are some really interesting pictures. I might have to figure out how to do that. Holy cow Mary. These look like the best animations you see in many children’s books. I think I need to get tho app. Both girls look incredible! I might have to check out Snappy H’appy too! Thanks for sharing! Those pictures turned out really cool. I will have to check that app out. Very cool photos. The texture looks great! Those sketches are super cool! I love them. These are beautiful. 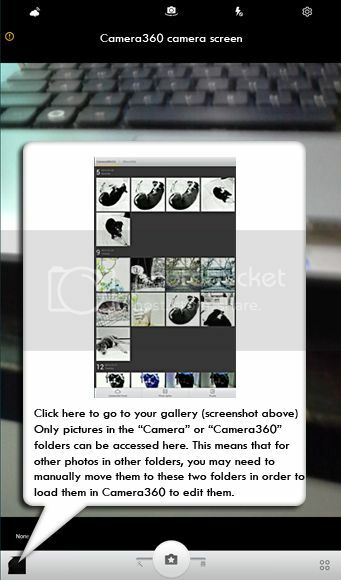 What is Camera 360? I have that app too and just love it!! These two pics came out awesome!! The texturized effect is very cool. Happy Monday! All three of these came out really really well! You are right that the fur came out with such detail. Roxy looks so sweet in that bit of soft color. (and Torrey is always a stunner, even in black and white) Now did you actually take the photos in the app itself? I haven’t tried that yet. I did take the photos in the app. I haven’t figured out how to use the app to edit a photo I already took. Thank you, thank you. I missed that part somehow and couldn’t figure out how to get post edit on photos. Thanks!!!! What a fun challenge. It is so much fun to play with filters on your phone apps!! They look great! While I love the colours in Roxy’s photo, I am more drawn to the black and whites of Torrey’s :) #2 looks so peaceful and #3 makes me notice Torrey’s beautiful eyes ;) Thanks for sharing!! I love these. I need to find time to play around with apps. I love the color in Roxy’s photo best. It’s subtle with all the texture going on. Like a beautiful pencil sketch with just a “touch” of color. Lovely! Of all the apps I have tried in this challenge, I have not tried this one, but you can bet it will be added to my repertoire!